"I never knew of a morning in Africa when I woke up and was not happy"
My earliest recollection of a wildlife documentary was a cheetah, filmed in slow motion, as it chased a Thompson's gazelle. Kinetic energy rippled down the flanks of the cat, pads momentarily touching the savanna, flicking up clouds of red dust, tail steering like a rudder as the gazelle jinked left and right, throwing off the momentum of its pursuant. Over the years, in the course of my work as an expedition leader I have led several expeditions to eastern and southern Africa. During this time there has been a disturbing trend in the worldwide cheetah population and big cats in general. 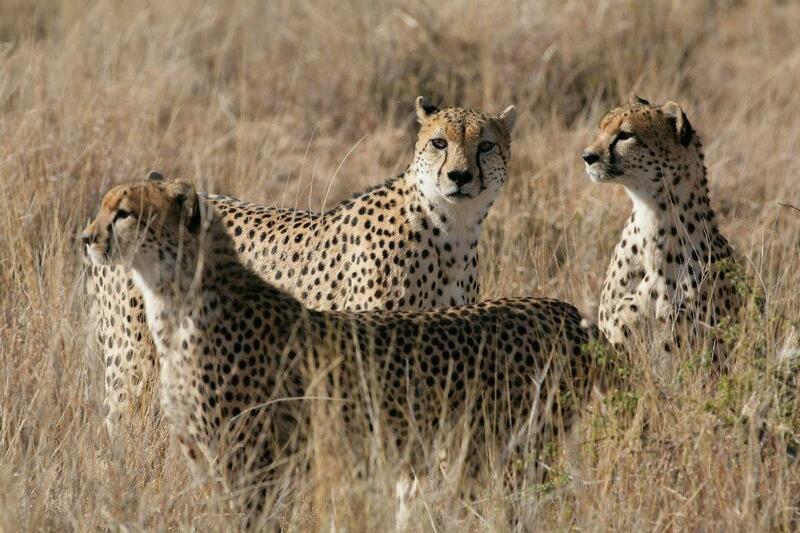 Cheetah are now extinct in 20 countries where they formerly roamed. By January 2017 there were only 7100 left in the wild, a dramatic reduction of 90% from what there numbers were 100 years ago. 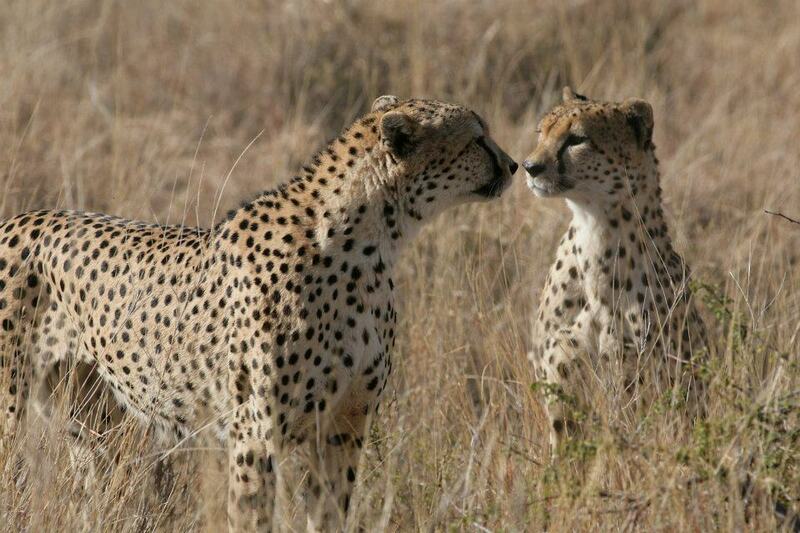 Cheetah are classified as vulnerable on the IUCN Red List of Threatened Species. With the rapidity of de-population this iconic species could be on the brink of irretrievable extinction before science has time to classify it as such. 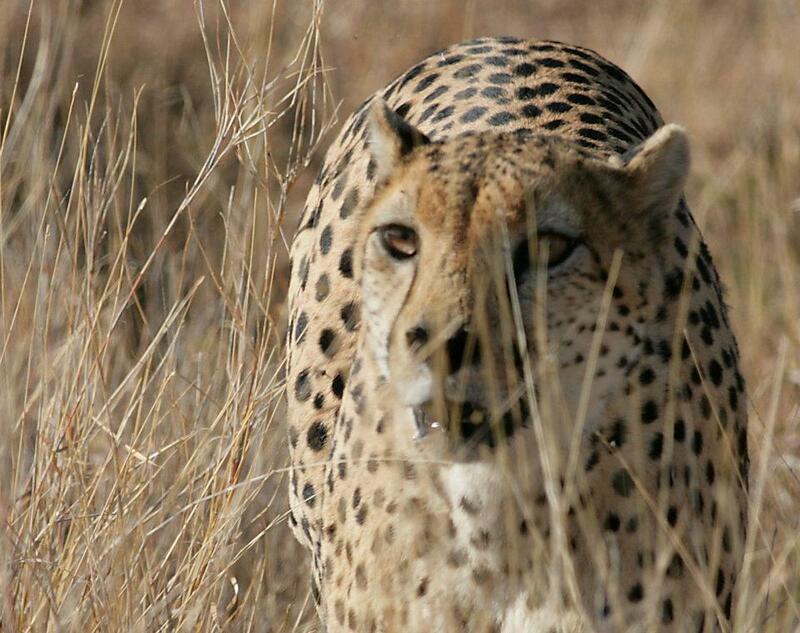 The last time I saw a cheetah in the wild was in 2008, in Lewa Downs conservancy in Kenya. It was one of my most treasured and special wildlife moments. I watched as a coalition of three adult male cheetah harassed a female with sub-adult cub to see of she was in condition to breed. These were the biggest, toughest looking cheetah I had ever seen. They were the famous Lewa brothers, powerful, impressive and confident. An attitude they took to their selection of prey, bringing down unlikely and unheard of species such as ostrich and fully grown zebra. They even had the ability to overpower grown lions. The bothers' strength was defined by their coalition. The death of the eldest, after a fight with a pride of lion, sealed their fate. The last of the brothers, seen to be listless as if mourning the loss of his sibling, was confirmed on Monday 30th April 2012 when a surveillance officer found the carcass. Their reign had lasted 14 years, a remarkable tenure. It is of course the natural cycle, but it was none the less a sad day for anyone who had enjoyed their magnificent and larger than life escapades. Another series made by Simon, was Cheetahs Fast Track To Freedom (2004) told the story of Toki and Sambu, two three month old orphaned cheetah cubs and attempts to raise and habituate them to a wild environment. The documentary shows with heart breaking clarity just how difficult this is. The follow up programme Tokis Tale (2007) leaves us only partially satisfied that the release to the wild had to be within a fenced (albeit very large) enclosure due to Toki apparently seeking out human company and not faring well in confrontations with other wild cheetah. 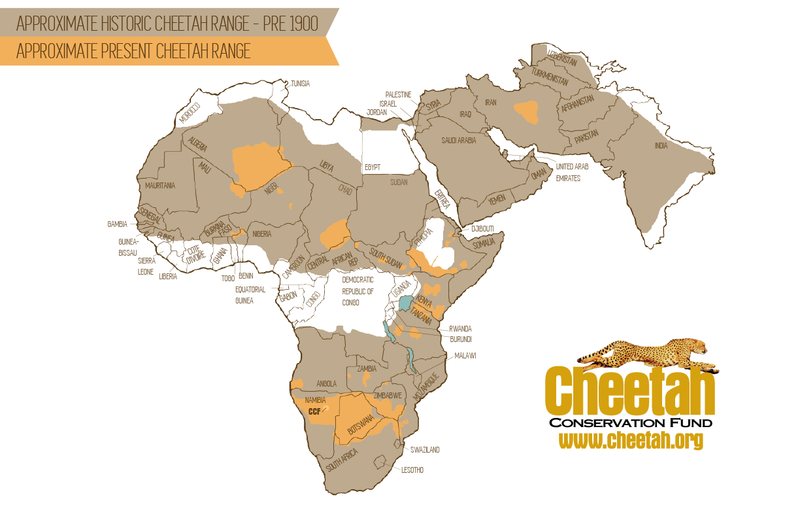 Because cheetah occur in low densities, conservation of viable populations requires large scale land management planning; most existing projected areas are not large enough to ensure the long term survival of cheetahs. Conflict with farmers, especially in southern Africa, leads to cheetah being trapped and shot as vermin for largely perceived threat rather than the relatively little damage they cause. 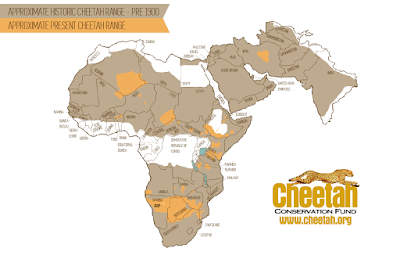 Loss of wild ungulate population will exacerbate this situation as well as depriving cheetah of food in areas where agriculture expansion is encroaching into cheetah home ranges. 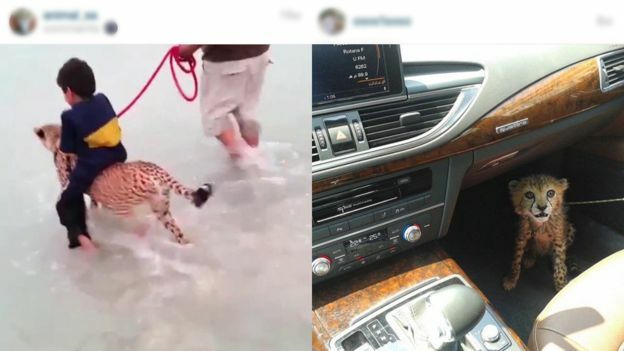 But perhaps the most distressing cause of cheetah decline is the illegal trade live cubs smuggled to the middle-east market as exotic pets to be paraded as status symbols and fashion accessories. Of the crates and crates of cheetah cubs smuggled out of Africa, only one in six survives the journey. Most of the rest will die prematurely of malnutrition or be discarded if they reach maturity and their behaviour becomes unmanageable. As the Simon King documentary shows, it is virtually impossible for these animals to be reintroduced to the wild. Despite unprecedented levels of funding for scientific research and analysis, more global awareness than ever thanks to the internet, big words from celebrities, personalities and some politicians: Cheetah are sliding inexorably and quickly into extinction. At what point will decisive, meaningful and effective action be taken, in addition to the efforts of a few dedicated individuals which are amounting to a sticking plaster over a heamorrhaging wound? Humans have a unique talent in destroying what they love. 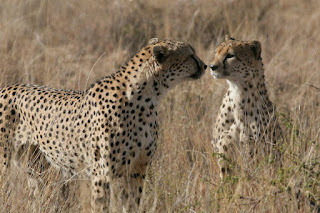 I now wonder if the cheetah brothers I saw in 2008 will be the last I shall ever see outside of captivity? An interesting read. Thanks Stu.